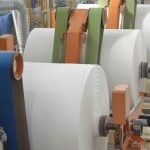 Ittihad International Investment – a UAE-based group with interests across a range of industries – has signed a deal worth $272mn (AED1bn) to build a new ‘wood-free’ mill producing printing and writing paper. The deal was signed with Zonescorp, the Special Economic Zone near Musaffah in Abu Dhabi, at a trade fair in Hannover, according to Emirates News Agency. Ittihad International already has 220,000m2 of space spread over seven units within Zonescorp Industrial City, but the new mill will be spread over 230,000m2 within an existing cluster of paper companies at ICAD II. It is set to be built over two phases, but will have an aventual capacity of over 600,000 tons and employ more than 200 people. It is expected to export around 85% of the product. with the bulk moving through Khalifa Port. Ittihad International has interests in a range of companies including steel, building materials and chemicals. Within eight years, it has grown into an enterprise with revenues of around $1.6bn (AED5.9bn) and more than 10,000 employees. 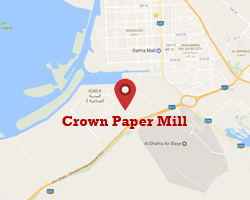 Zonescorp CEO Mohamed Hasan Al Qemzi said: “The Ittihad facility is a hugely important addition to our paper manufacturing cluster and for Abu Dhabi.